Easily record payments, discounts and installments. 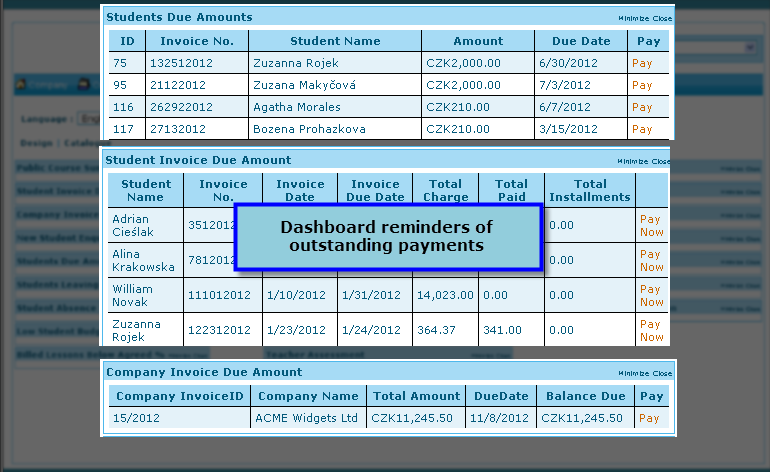 ClassMaster automatically reminds you when payments are due so that you don’t miss them. 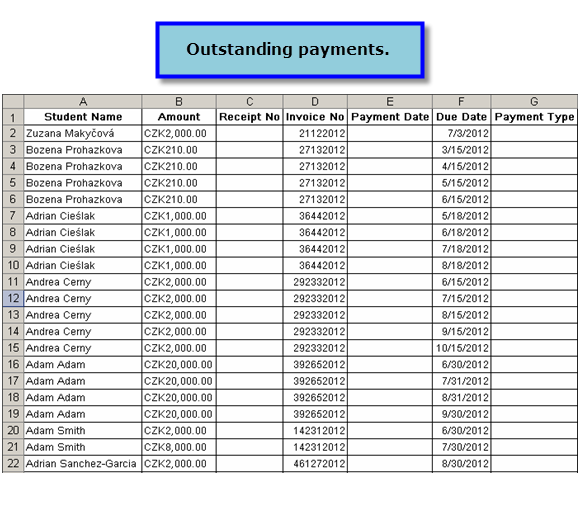 Filter payments by date and download them in Excel format. With receipt numbers, dates, and taxes broken down for you, they are ready to be passed directly to your accountant. Allocating payments is easy and requires just a few steps. Select the invoice that has been paid, post the incoming payment and payment method – and the process is complete. You can export all the invoices and payments at any time for processing in external systems. Finance lists show you which participants have an outstanding balance and how much they owe at a glance. If necessary, you can also use the lists to call up payments and the times at which they were made or due to be paid. Every invoice is stored in the system with its payment deadline. The lists of open items always show all unpaid invoices with their due dates. 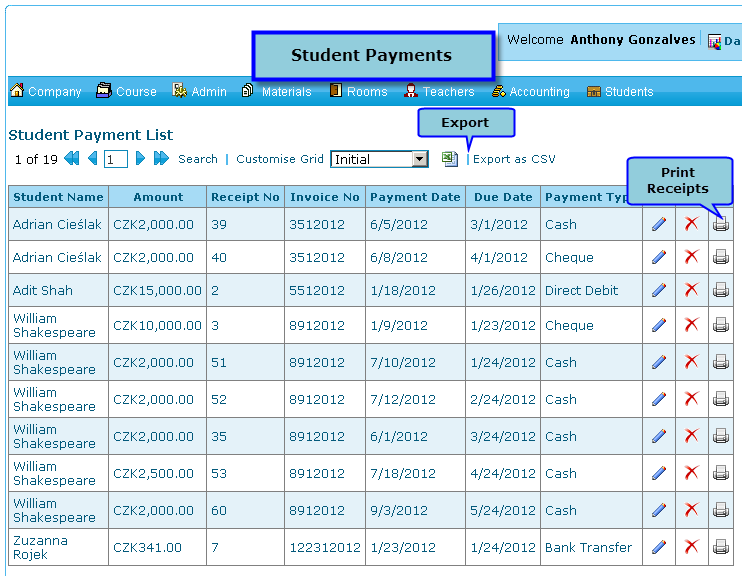 This enables you to view your outstanding revenue and any overdue invoices at a glance.